Dotted marking pattern paper is a great tool to get you started creating your own patterns. You need paper and trust me…you will go through a lot of it. You can use kraft paper and oak tag once you get really good at pattern making and have developed pattern blocks and master patterns. 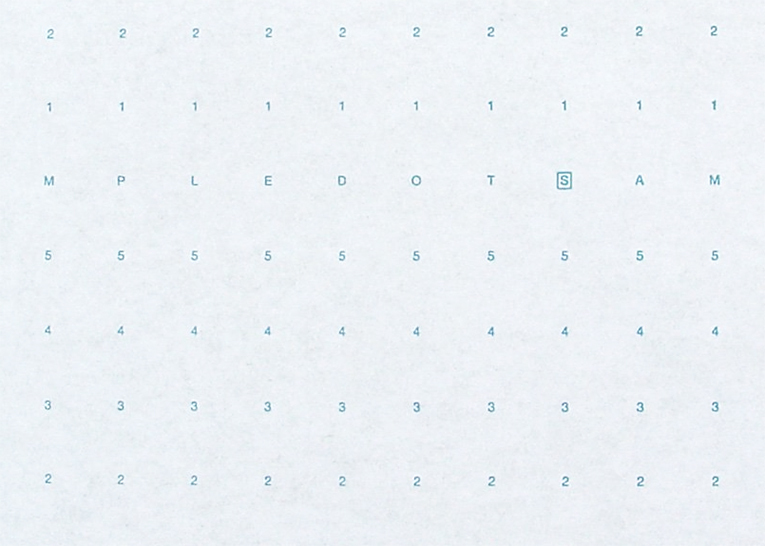 But, this dotted paper is a great tool for both the beginner and the professional! 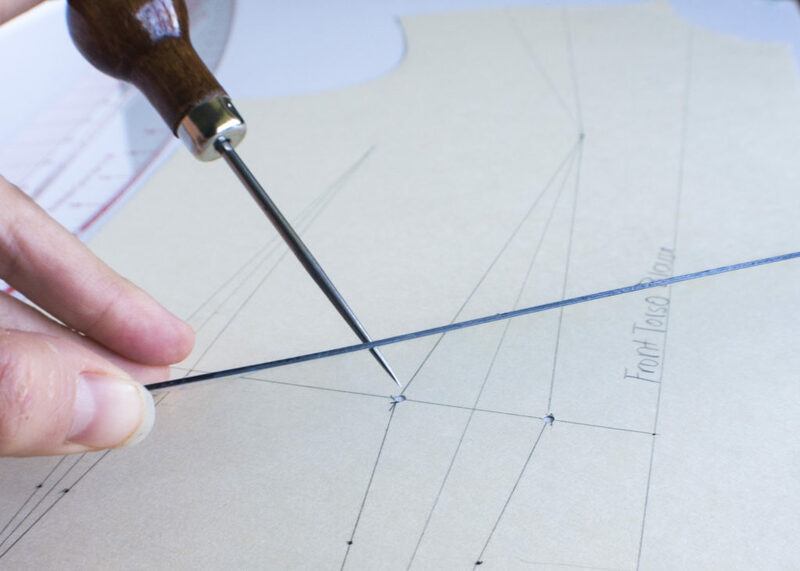 Pattern making is easier than you think. Essentially, you take measurements, plot the points, and then connect the dots! Here’s the secret, the way the dots are connected is with rulers! How easy is that!? 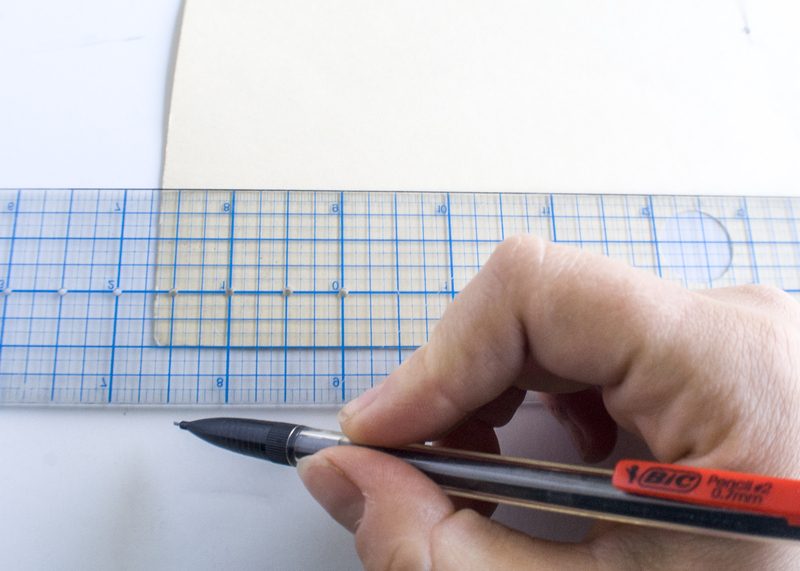 This ruler by Dritz combines all of the pattern making rulers into one amazing ruler! This ruler will take the place of a french curve, hip curve, and a vary form ruler! 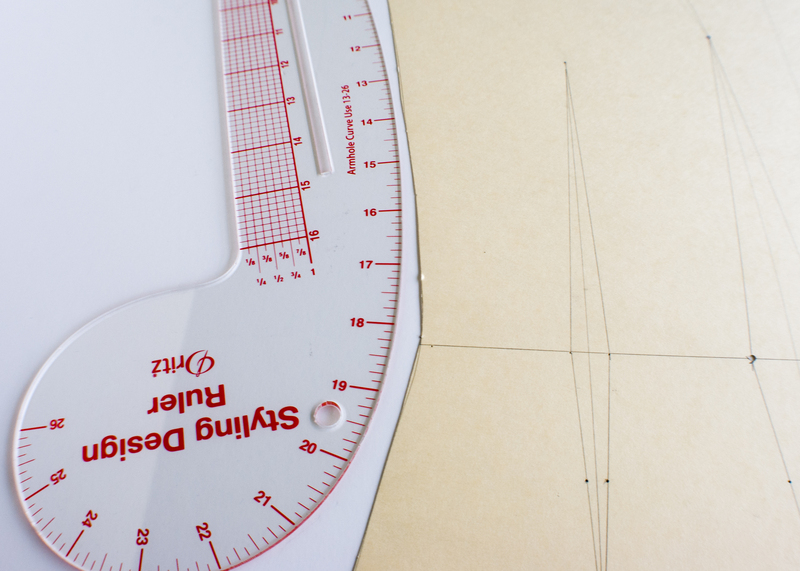 Now, there is no need to buy that $150 dollar ruler kit! I know that I just recommended a ruler. But, this see-thru ruler is definitely a must have and has a bit of a different function than the styling design ruler. While it is true that the styling design ruler has a similar looking feature (with the clear grid). I’ve found it is a lot more clumsy to use than the c-thru ruler. The c-thru ruler has handy little holes in the middle that make awesome pivot points. It also is perfect for adding seam allowances and measuring just about anything! I use this ruler a l l t h e t i m e! The awl is a very simple, yet versatile tool. I use my awl for pivoting, scoring, marking, and measuring. This made my must have list because you will need a way to cleanly mark bust points and other important pattern markings. In college one of my instructors taught me to score my dart legs for closing and how to walk a measuring tape around a pattern edge using the awl. Both genius tips that I use every time I make a pattern! The pattern notcher is a must have because it creates really clean markings for dart legs, sewing notches, arm hole notches, and more! The pattern notcher makes it really easy to mark your pattern and the notches hold up well over time! I want share with you my top secret tool to pattern organization. Okay, well…it’s not really a secret! But, here it is…and it’s yours for free! It’s a pattern card! Have a quick read of the post that explains exactly what a pattern card is and why you should already be using one! 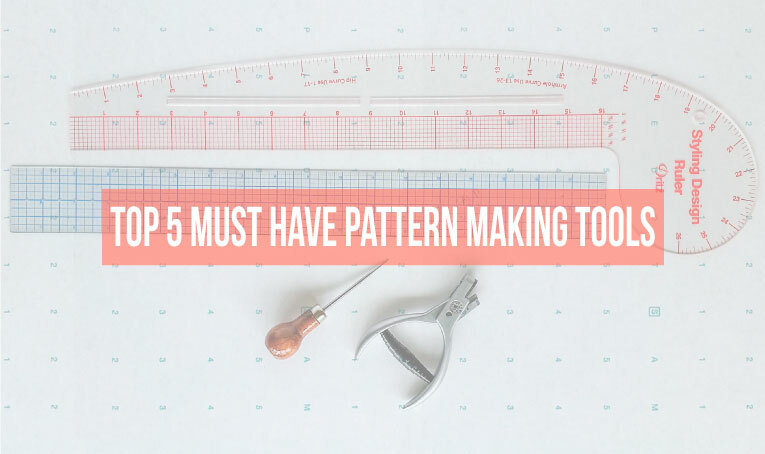 I hope you found my top 5 tools (and the bonus) for pattern making useful. 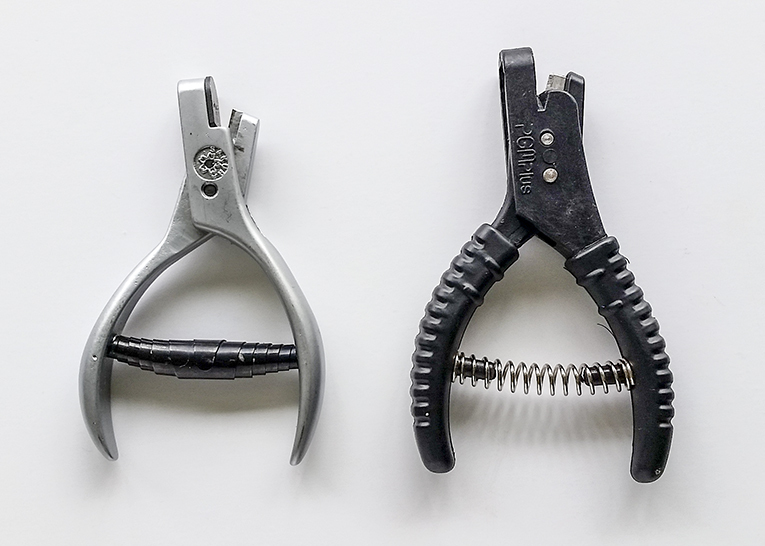 I know I couldn’t make patterns without these 5 tools! Let me know if you have any further questions or want more in depth information on how to use these tools! Pinterest recommended your site to me and I thought, WoW! Awesome! Someone to teach me pattern making. I’m so excited. I’ve been sewing for more than 40yrs and have always wanted to make my own patterns and now, thanks to YOU, I will be able to. Thanks for those kind words, Maria. Join the e-mail list and the FB group! I’m always on the other side of an e-mail! Hi Ruth! I´m from Argentina and love making clothes and I´d never find a website where I can learn all the things I want from the beginning and with all the posible details. So THANK YOU! I was wondering if it exist a clear rubber ruler but in cm. I look up in amazon but I couldn´t. A friend of mine is traveling to USA and she could bring it to me to Argentina. Here it´s imposible to find it. Hi there, thanks for reaching out. I do not know of a clear ruler in cm. I’m sorry! Hi, Mora! I was browsing this site and saw your request above for a clear ruler in cm. I looked on Pinterest and found a couple! I’m not sure how to copy the info for the links, though. There was a meter ruler, a square (only 15 in/30? Cm., and another one as well. I will keep trying for you and try to copy the link here. Thanks for this! Highlight the link in your toolbar and control c to copy and control v to paste. Recently came across your site on Pinterest and found it to be what I have been wanting in making my own patterns. I have felt intimidated by the whole thing but you make it sound so easy and your clarity on your information really helps a lot. Thank you for having a heart to share your skills. I look forward to learning great things from your site. Thanks for the kind words Pearl! Make sure to sign up for the e-mail list so that you can get even more info! Plus, you get access to some free patterns to practice with! I found your site on Pinterest looking for sewing sites. Just this week I found a ‘sewist’ in my area who is giving lessons, but just by talking to her I know her classes are not for me. I wanted to draft my own patterns, so this was a blessing. I joined up to follow you. Thank you for taking your time and giving us help where needed. Hi Chris! Glad you found the site! There’s a private FB group if you’re interested! Let me know if you have any questions on your journey! Hi. I never thought I’ed actually hear from you in person. So, tonight while I was looking through my mail I found you had texted me. Talk about surprised…I was! Thank you so much! Although I am retired I have found myself in need of a bit more money that the government gives me. So I have dusted my Singer off and started my own little alterations business. I am truly blessed. My grandmother showed me how to sew when I was 8. By nine I was making my father corderoy shirts for Christmas. I have always been able to sew for others when the money got tight or non-existant as it is now. But that never prepared me for the success I have had with my new adventure….Thanks for your blog. I love it! I’m so glad you have started an alterations business, sounds like that is going great! That’s amazing! Thanks for your reply. Great suggestion, in my complete patternmaking tools and supplies article as well as my upcoming eCourse…I recommend having several colors of pencils. Thanks again! I came across your blog and it is just what I have been looking for! I want to learn how to create my own patterns and I am now a lot more confident that I will be able to. Thanks a lot and keep up the good work. I expect I will spend quite some time in this site. Thanks Lillian! I’m working on some really exciting courses too! So, stick around and let me know if you have any specific questions!